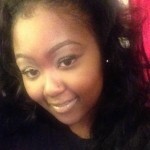 When pursuing a career as a Nail Professional, one should consistently question whether their skills are matched to the evolving demands of the nail and beauty industry today. 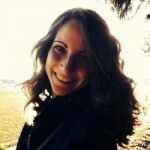 It is always useful to stay up-to-date on current and future trends to be able to provide just that. Here we discuss nail art for kids, hone in on its development and give gentle advice on the ‘Do’s and Don’ts’ during application. 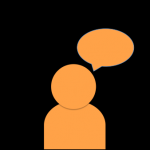 It’s a good place to begin questioning yourself on what you know and whether you are equipped and prepared to factor children into your client-base. 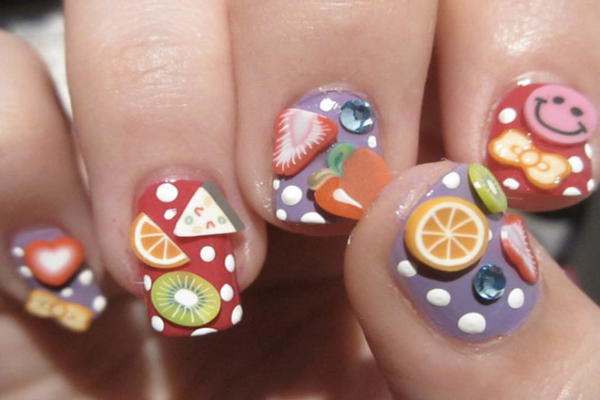 Nail art has become a global evolving form of nail fashion. Where we used to experiment with our hairstyles, make up and style of clothing, nails have most certainly become a part of that. Matching outfit and accessories, immaculate hair and make up, a complimenting nail design and Voila! You have just the perfect look. Since kids are highly impulsive, they pick up on their surroundings instantly and often follow the footsteps of their mother, older sisters and aunts, so they have also entered into the world of beauty regimes and this includes nail art. We have seen nail art and its emergence in current times, it has proved to be a perfect outlet for children, meaning they can harmlessly express the creative mischief inside them, on their very own fingertips. We now see that proper nail art parties are arranged, which is a learning initiative with a blend of playfulness and pampering. These parties are usually for children between ages 7- 15. Some parties have whole packages including teaching hand and feet care, basic nail anatomy, correct application of nail varnish, how to apply different nail designs using correct brushes and much more. This is all being done just to satisfy the curiosity of the younger generation and to help them play with creativity. Generally, nail art is associated with women and girls however, little boys painting their nails has no more remained a taboo. Famous celebrity kids have been seen excessively painting their nails of their favourite soccer teams, red nails at Christmas and painting their nails to show off creativity and talent. These celebrity kids being 11 years old Pax Jolie-Pitt, Gwen Stefani’s son Kingston, Tori Spelling’s little man and many more. They just want to do what their sisters do because it’s completely fun! 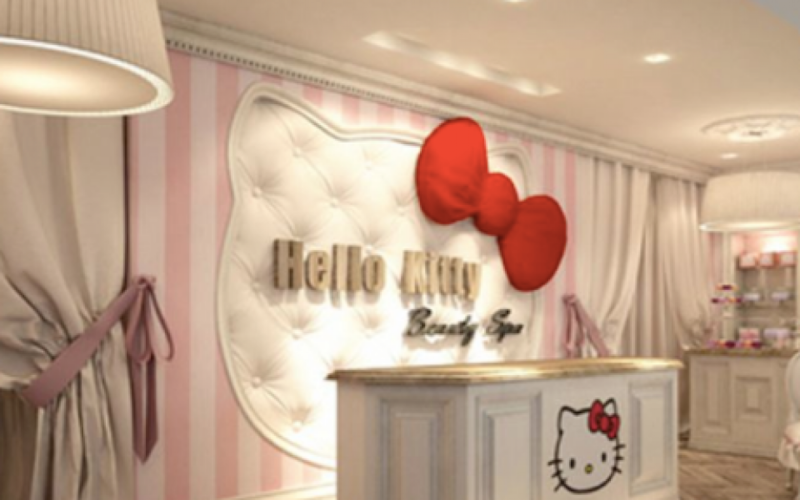 Along with the kids, their parents have been equally participating in motivating their children by bringing them along to spa’s for mani-pedis and other treatments, together with the influence of young and trendy pop-stars increases further awareness and has led to increment in the kids nail art trend. Willow Smith’s shoot for Teen Vogue is an example that has really blown the whistle away. The amazing black and white patterned nails are spot on. When painting kids nails the biggest challenge is the size of the nails. 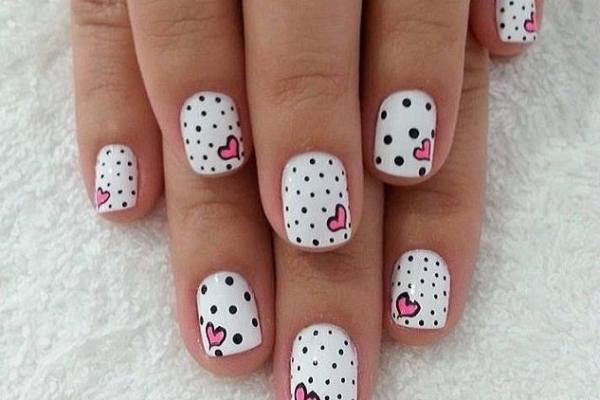 They are so small that designing gets pretty hard so the perfect hack is to use the simple but fascinating designs like polka dots, watermelon and different colours on all the finger nails to makes the best of it and much more. Nail art stickers can be a huge blessing in a matter of instant requirement. 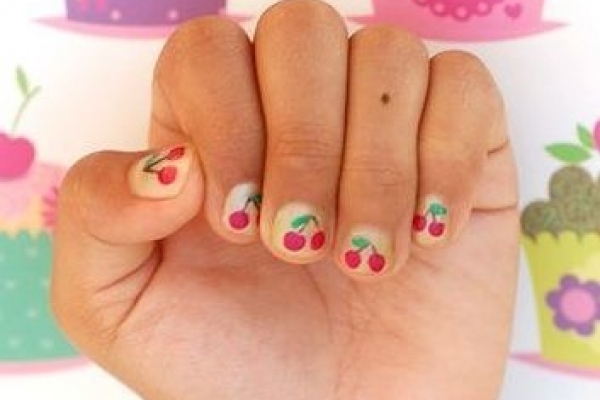 This makes the kids nail art the simplest and attractive. Pick up the easiest designs. Use washable designing paints and colours. Think of entertainment to keep children indulged and steady at a place. 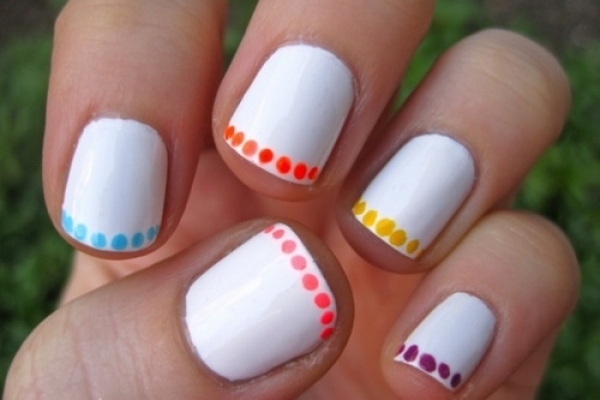 Use peel off nail colors which dries and comes off the nails easily. Use pleasant smelling and vibrant nail paints. Oh! Always pick your child’s choice. Never ever use intricate and complicated designs. Never use nail polish remover on kid’s nails as they often take their fingers in mouth. Do not use permanent enamel colours that don’t come off easily. Use a great topcoat for easily drying and to avoid smudges. Never use dark and vintage nail colours, which could scare the child. Never go against your child’s choice. 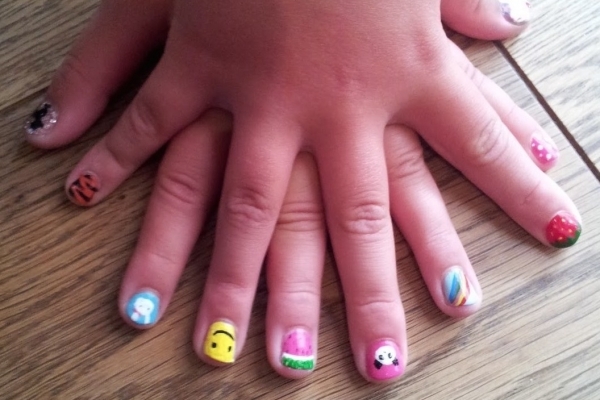 We hope this article brings you a greater insight into the emerging trend of nail art for kids. Share your thoughts on this topic by commenting below. I have a 4yr old daughter and she’s very much a girly girl and is always around when I’m painting my nails. I can’t wait till she’s old enough to come with me to nail shops, but for now its base colours & nail stickers. She loves the fact she can choose different patterns and designs. Nail art for kids is so much better than having an impatient 4yr old, not wanting to sit still waiting for a 2nd coat to dry!! 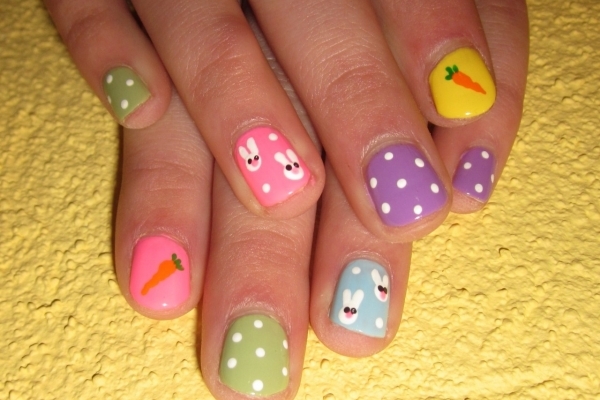 Fun, easy & not harmful to delicate nails…. Not to mention the great bonding sessions…. priceless! I like the Hello Kitty nails they were very nice. I also like the Do’s and Don’t’s list, very helpful! Nail art is so fun! so i think sharing it with children is definitely a great idea and i’d let my daughter partake – good job! Great idea for children’s birthday parties. Thanks for the dos and don’ts, I had no idea there was peel-off varnish, but that is a much better plan for kids. 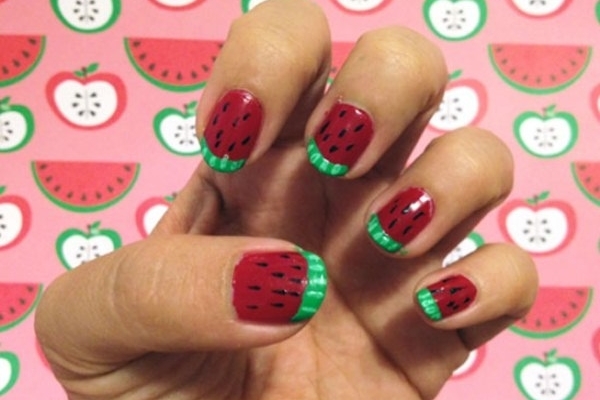 I love all the examples, the watermelon nails are too cute! Is it wrong that Willow Smith is my style icon? I might be an adult but I love her style and look. Nail art is a safe and creative way for teens to express themselves and I love that it’s becoming cool for girls AND boys. 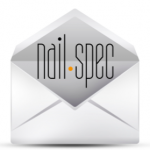 © 2017 Nail Spec Ltd. | All Rights Reserved | Powered by ATC.